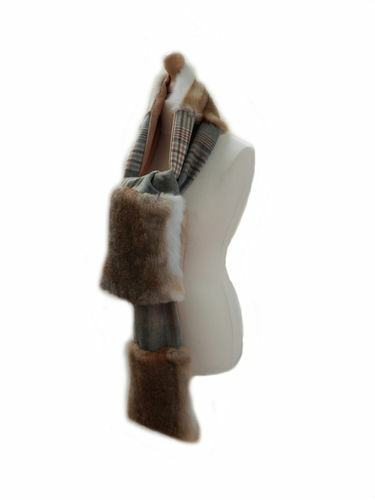 Stand out from the crowd with this stunning full length scarf. Featuring only British tweed and luxurious wild rabbit fur at the tips and in the middle to provide additional comfort and style. The inside is lined with a silk wool blend to provide enviable comfort upon your skin.